There are videos of this game working, without bloom, on dolphin. There are accounts of people using shaders and stuff to make it look better, very recently. Despite this, the wiki says that you will pretty much get used to the bloom or f- off. I have tried every combination of backend, enb cpu use, and game settings patch on the latest version of dolphin, and I cannot make this game playable, because with that bloom it's garbage. Should I be downloading an older version? 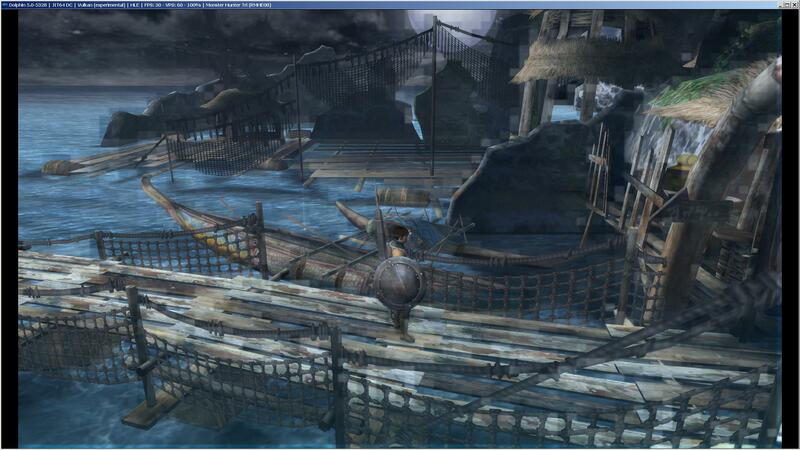 If so, what version of dolphin can actually run Monster Hunter Tri? Also, Vulkan was the best of the backends, eliminating bloom and running at max speed, but all polygons get covered in this bizarre, massive pixellation. It's mostly transparent but it's still a bit nauseating. So I tried using 4.02 instead, and the bloom fix actually works for it. Unfortunately, the sound stutters constantly, and performance was slightly lower too- problems that the latest version had none of, and ran perfectly. I've checked for every configuration for the sound and performance issues in 4.02 to no avail. If only I could get the best of both worlds. Actually I have to say that the bloom is actually better than the sound and performance problems of later versions, which is f-ing insane. EFB Access to CPU is what controls the bloom. You have to check it while the game is playing as we override it. (08-22-2017, 12:01 AM)JMC47 Wrote: EFB Access to CPU is what controls the bloom. You have to check it while the game is playing as we override it. So very true...yet when you do, the game slows to 2-5% of it's normal framerate. No consumer hardware has a chance against it. There was a game settings patch that used to work in older builds, but is now useless, for whatever reason. So you can play the game with the bloom, or with the many problems that come with older builds. I can run the game full speed with the bloom enabled in Vulkan and OpenGL? The EFB Peeks aren't slow in latest dev. (08-22-2017, 07:55 PM)JMC47 Wrote: I can run the game full speed with the bloom enabled in Vulkan and OpenGL? The EFB Peeks aren't slow in latest dev. Yes, I can too, sorry if I've been unclear. What I've been trying to do is play at full speed with the bloom off. The patch found in "game settings" seems to do nothing, and no combination of graphics options will do the trick either. I can get the game to run at full(ish) speed without bloom on 4.02, but the sound is painfully crackly and the framerate is unstable. 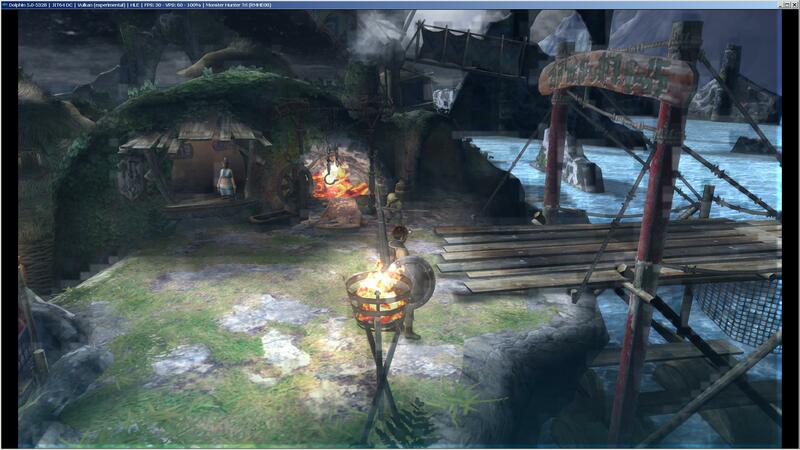 Also, I can't tell any difference after modifying the in-game brightness setting. Dunno if that was the case on the wii too, though. edit: In case you were wondering why I'd want the game without the bloom, it's because the bloom in Dolphin is really excessive compared to the original. I guess you probably know that, though. Website is gamemasterplc.com. Youtube Channel is gamemasterplc. That is indeed the defunct "Bloom OFF" code. I don't know anything about memory mirroring, but can I assume you're saying there's nothing I can do to fix the bloom on the newest builds? Oh yeah, the vulkan thing. With the Vulkan backend, the bloom is perfect and the game runs perfectly without skipping efb access, but there's this weird grid of shading that will only go away if you run the game at native resolution. I haven't been able to get around this, but it seems really close to being...well, perfect. Does anyone know what causes this weird effect? EDIT: Or wait, I don't remember for sure. That may also be a bug with an optimization. I'll have to ask stenzek.